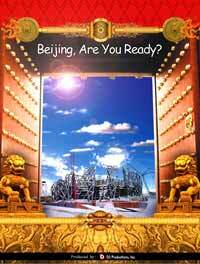 By popular demand, we bring you a one-hour version of the 13-episode series, Beijing, Are You Ready? This “Best of” cut highlights athletes Olympic journeys, interviews creators of the Opening and Closing ceremonies and looks behind-the-scenes at highly-restricted Olympic venues. The program includes rare footage of key people and highly-restricted locations, including Olympic construction sites. In addition to looking behind-the-scenes of the Olympic grounds, viewers will experience the multitude of ways China’s capital city is preparing to host the first-ever Olympics in China.